I am often intrigued by the complexity and paradoxes in optimal human functioning. One thing which interests me in particular is that our performance may sometimes be improved by deliberately adding constraints to the circumstances in which we have to perform. I came across nice example when I was watching Back and Forth about the rockband Foo Fighters. 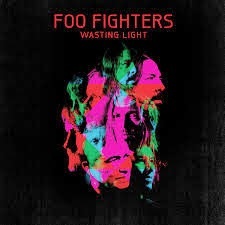 Just before starting to record the 2011 album Wasting Light, Foo Fighters front man Dave Grohl decided that instead recording the album digitally they would record it on tape. This implied that the recording process would be harder and less flexible. While digitally recorded music can be easily manipulated and corrected, analogously recorded music can't be. Grohl realized that the easiness of digital recording might make musicians a bit lazy and easy. After all, any mistake could be relatively easily corrected. But analogous recording would require the band members to be really sharp and play really well. While we can't know how and to what extent this contributed to the album's succcess, we can say the album was indeed a success. It became their best sold album and won five Grammy Awards. David Creelman just told me that Ihe heard once that Neil Young would often deliberately play with lousy guitars because then he would really have to work at it and that led to a better performance. Great article! Just be sensible on how to apply the constraints, to improve performance.